This listing includes the original game CD. An on-screen key command list is also included. The box is pictured for reference only and is not included. 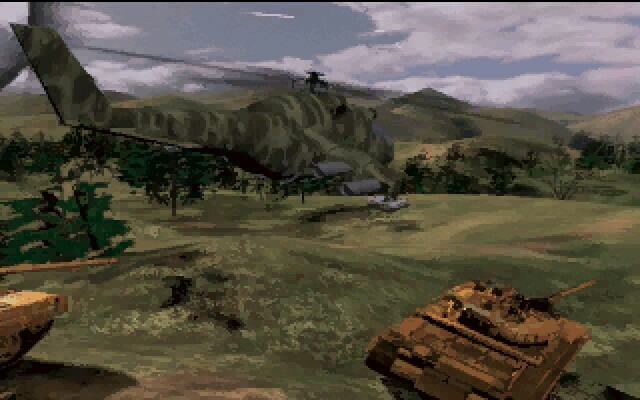 Using the same Voxel Space engine as Comanche that allowed much more realistic-looking terrain compared to similar games, Armored Fist stands out among tank simulations made before and even some time after it was released. 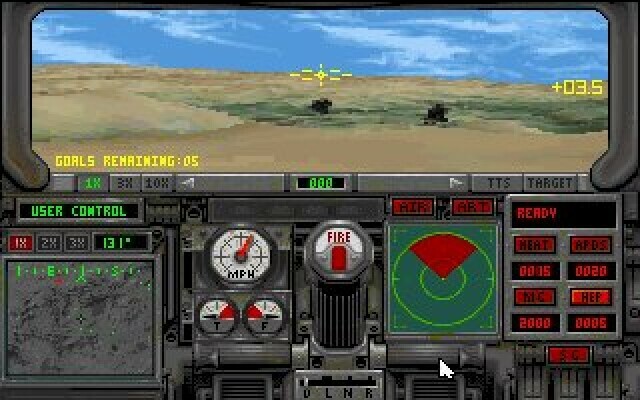 In addition to its more realistic graphics, its gameplay exceeded expectations, providing some additional features and making most other tank games obsolete. You can choose between Western and Eastern forces, both having two types of armored vehicles. Western forces consist of M1A2 Abrams main battletanks and M3 Bradley cavalry fighting vehicles, backed up by Apache attack helicopters, while T80 main battle tanks, BMP-2 infantry fighting vehicles, and MI-24W “Hind-F” gunship helicopters make up the Eastern forces. Balance is achieved by making both sides practically the same, with one main battle tank type and one fighting vehicle type. Each type of unit has the same type of weapons. The Western side has slightly more ammo, while the Eastern side has slightly better performance, but all in all, the choice of sides doesn’t make much difference. Any mission can be played from either side, and regardless of which side you choose, the missions will remain the same; only the Eastern and Western units will be swapped. You cannot control choppers directly but can call them, as well as artillery, for support. There are six campaigns and one training campaign, for a total of 47 missions. You need to create a player account in order to play campaigns, or you can simply choose a single mission from the “Battles” option. If you are playing a single mission from “Battles,” you can edit the mission. The missions' goals vary, but they all come down to eliminating all the marked targets, similar to the missions in Comanche. Various sorts of terrain like grass, dirt, desert, and snow will be present, as well as night missions. Terrain types are not very important, since most don't influence the gameplay in any way. You can’t run into mud, deep snow, or water. The differences are otherwise strictly visual and add to the atmosphere. The only part of the surroundings that can influence your play are trees, which will slow you down or stop you if you run into them. Naturally, the same goes for tanks and bunkers, whether destroyed or not. As in Comanche, vehicles can take various kinds of damage. Tanks will also restore damaged parts back to functionality on their own if given enough time. Unlike Comanche, in which you were battling enemy forces alone, here you will be mostly leading teams of tanks. By pressing Esc or F10, you can switch from the action view to the map view of the battlefield in order to give orders to the teams. In the upper right part of the screen, you will see a small menu with a few options which you can use to select a tank, set new checkpoints, remove existing ones, and scroll the map. The upper menu consists of various options for viewing the current status of teams, speeding up time, and switching back to the action view (accomplished by clicking on the soldier’s face or pressing F10 again). Using the map screen, you can select any tank and take control of it. It’s very simple and necessary in order to play with multiple units. Press Tab to switch to the next unit faster, although this is not so helpful when you have more than two teams. You can have up to four teams of four tanks each, so the maximum number of your troops is sixteen. Take note that each tank can be set to auto or user control and that this setting remains when you switch to map view. As soon as you press any command key while in action view, the auto control switches to user control. If you don’t set the control back to auto and change the tank you control, the previous tank will keep moving in the same direction or simply stand still (depending on its speed when you left), regardless of terrain or enemies. This will make them sitting/moving ducks. On the other hand, sometimes you'll want to leave it that way so units can move straight forward without shooting or simply standing still. Each team has one tank which serves as the leader and which follows the path to the checkpoint if its control is set to auto. Other tanks in the team (under auto control) will follow the leader. So, if you want tanks in the same team to do different tasks, you will have to improvise with user control. Armored Fist is a very hard game. Don’t let the easier levels fool you. First of all, leading multiple tanks in multiple teams is very demanding. You will often find yourself constantly changing control among several tanks in order to get the desired result. In most of the missions, checkpoints for each of your team are preset and enemy units are usually placed to meet you. You will have to delete the checkpoints and set new ones immediately after the mission starts, so your units can go a safer way. When leading more than one team, this can be very hard to do in time. Also, auto-controlled units tend to spend a lot of ammo and usually don’t take any evasive actions. If the mission is not an easy one, you can’t rely on auto control much, if at all. It will naturally be impossible to control many units at once, but you will have to do best you can. Once you get a handle on the game, you will manage to take out several enemy units with your tank, but you may often realize that your teammates have been taken out too, without doing much damage. Sometimes they are very useful, but they require babysitting too often. It is very hard to get multiple units to move, shoot, and conserve ammo the way you want. So, the more units you have, the harder it gets to control them. You usually have more units when dealing with even more enemies, so you have to take care of your tanks, since you’ll need more than a couple of units to finish the mission. This should give you a proper impression of how difficult it may get. 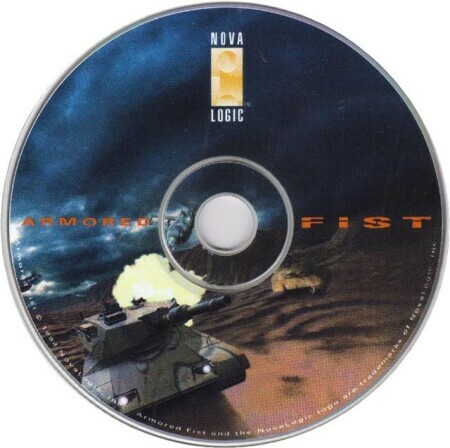 Superior in almost every way and with difficulty possibly being the only drawback, Armored Fist was surely the best tank simulation of its time. All the fans of Comanche that for some reason skipped this game will probably like it. Although you may from time to time switch to easier or more arcade-like tank simulations, you will surely come back for more. And after you beat all the missions, you can edit them and create your own challenges.